Commercial carpet cleaning in Lancaster is an important part of keeping the interior of your property looking its very best. But unfortunately, many business owners overlook their carpets. Regular vacuuming is important of course, but routine deep cleaning will help your carpet last longer, look better, and stay sanitary. You can do it yourself, but you won’t get the best results. Kencare Commercial Cleaning is here to help by giving you professional quality work and long-lasting results. Our commercial carpet cleaning service in Lancaster, SC will give your office, church, or medical facility a deep clean that you’ll appreciate. No matter how hard you try, it’s nearly impossible for you to keep your carpets clean. 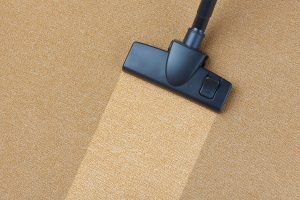 Our professional commercial carpet cleaning in Lancaster will go deep into your carpet, loosen any dirt or other particles, and carry it away. Our carpet cleaners are experienced and know just what to do to get your floor coverings as clean as they possibly can be. We use the best equipment and cleaning solutions so you’ll get the best results. We treat all types of carpet stains. Mud, dirt, and other unsightly materials are no problem. We’ll figure out the best approach for the particular type of carpet stain removal that you need. You’ll also notice that odors and mustiness will go away once your carpets are cleaned. It’s one of the best ways to freshen up your entire office. Clean carpets will also help reduce the presence of allergens. You’ll breathe easier—and so will anyone else who comes to your medical office, church, or commercial building. As an added bonus, our cleaning service in Lancaster, SC is fully licensed, bonded, and insured. We’ll take great care of your carpet while offering you the peace of mind that comes with knowing you’re protected from any damage. Ready to make an appointment for commercial carpet cleaning or any of our other professional commercial cleaning services? Call Kencare Commercial Cleaning today for a free estimate in the Lancaster, SC area.